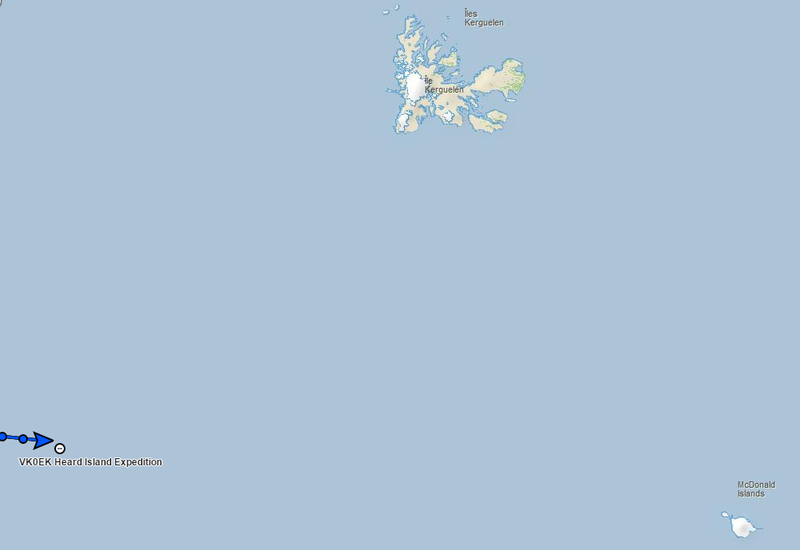 The team should arrive at Heard Island in about 35 hours. I expect an update shortly, and will add it here. It will take time to land and set up, and so this is all within the last ETA that Bob gave a few days ago. So far I have worked them quite easily on 40 and 30M, and for the West Coast – this is pretty much on the other side of the world! In fact, with the Vernal Equinox here today – the West Coast is exactly within the Sunrise and Sunset grey lines. This should mean that we will all get some last “winter like” low band propagation and that the higher bands will be open longer than they were in the winter. The comparison that I have made in the “How to Work VK0EK” does seem to be very much like the conditions that we had at the same time of year for FT5XO. ← MD07 – Getting Close!